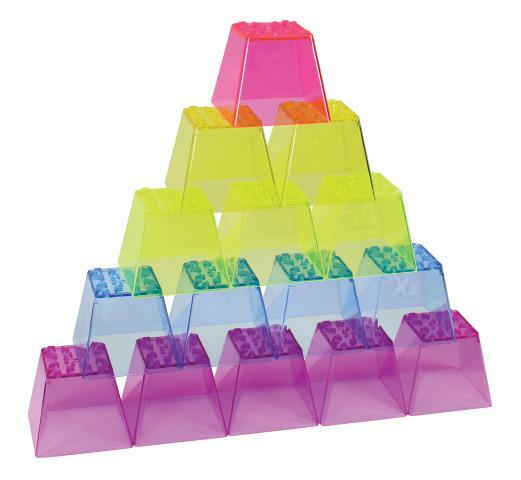 See, hear, touch and play with these fun, lightweight blocks specially designed with grooves for stacking up as high as you can build them. Overlap different colors to explore color-mixing concepts, and then stack them up for even more fun as you see your creations become brilliantly illuminated. Includes 50 blocks and guide. Dimensions: L: 2" x H: 2"